At present there are ten SOS Children's Villages, nine SOS Youth Facilities, ten SOS Kindergartens, one SOS Hermann Gmeiner School, two Social Centers, and two SOS Vocational Training Centres in China. SOS Children's Villages has been working in the Socialist People's Republic of China since the mid-1980s, when an agreement was signed with the Chinese Ministry of Civil Affairs. The organisation has continued to work in China and is now supporting children, young people and families in ten locations throughout the country. Since 2001, the organisation has also been present in Lhasa in Tibet, autonomous region of China. China is the world's fourth largest country and the most populous with over 1.3 billion inhabitants. The biggest city is Shanghai with 16.5 million and the capital Beijing is home to 12.2 million inhabitants. Since the death of Mao in 1978, China has undergone an astounding economic transformation. Alongside this economic development, there has been an increase in demonstrations for more democracy. Since the 1980s, China has had one of the world's fastest growing and changing economies. In fact, in early 2011, it overtook Japan as the world's second largest economy. It is one of the biggest exporters and attracts a record amount of foreign investment. There are 795.5 million workers in China (2011 est. ), of which 36 per cent work in services, nearly 29 per cent in industry and 37 per cent in agriculture. The unemployment rate is low at 4.1 per cent but economic growth has slowed down over the past years due to the financial crises. China's rapid economic transformation in the past decades has also transformed the society: the literacy rate and life expectancy rates have increased dramatically and millions of people no longer live in poverty. The number of people who live below the poverty line of one US dollar a day now stands at ten per cent, and has halved since the 1980s. At present, around 47 per cent of the population lives in cities, but this figure is rapidly increasing. The inequality in terms of standard of living between rural and urban areas has brought about social tension in the deprived rural areas. The government has acknowledged the need to address this, and has introduced measures to improve the infrastructure in rural areas. The transforming society has brought new challenges to the health-care system. The environmental damage caused by the economic expansion has resulted in widespread air pollution and led to respiratory problems. Although the current figures are relatively low, HIV/AIDS was the infectious disease which caused most deaths in 2010. There are an estimated 740,000 people with the disease (2009 est.). Lifestyle changes have also had other effects: obesity is an increasing problem especially in major cities. About 15 per cent of men and about 16 per cent of women are classified as overweight, and nearly one fifth of primary and middle school students in Beijing are obese. Mental health issues are also concerning as China has one of the highest rates of suicide in the world, especially among women. There are over 334.9 million children under the age of 18 in China. The country signed the UN Convention on the Rights of the Child in 1991, and has since launched several programmes to improve the lives of children. 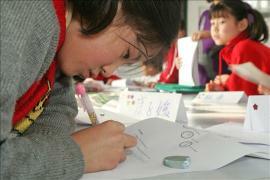 The government has introduced measures to ensure that children receive the obligatory nine-year-long education. In spite of this, many children do not receive a basic education. Although the government has provided special funds for poor areas, many children in these areas, girls in particular, drop out due to economic pressure on the families. The access to, and quality of, health care varies; the more developed coastal cities have good neonatal and infant care, while the poor rural areas, or those in the west of the country, are not as well serviced. In poorer areas, malnutrition increases the risk of complications from other illnesses and many children die from pneumonia and diarrhoea. China has one of the largest figures for child labour in the world. Once again, children in rural areas are disadvantaged, as the number who are forced to work is greater here than in cities. The recent changes have also had an effect on adolescents, who struggle to find their place in a changing society. Around 30 million teenagers under the age of 17 suffer from psychological problems, and the figure is thought to be increasing. After the government signed the UN Convention on the Rights of the Child, the work of SOS Children's Villages became increasingly important. Care in families: Children without parental care find a loving home in one of the ten SOS Children`s Villages. Brothers and sisters grow up together in SOS families. Support for young people: The SOS Youth Programmes help young people gain further education or training and supports them until they can live independently. Education: Young children can attend the SOS Kindergartens while their parents receive training or go to work.